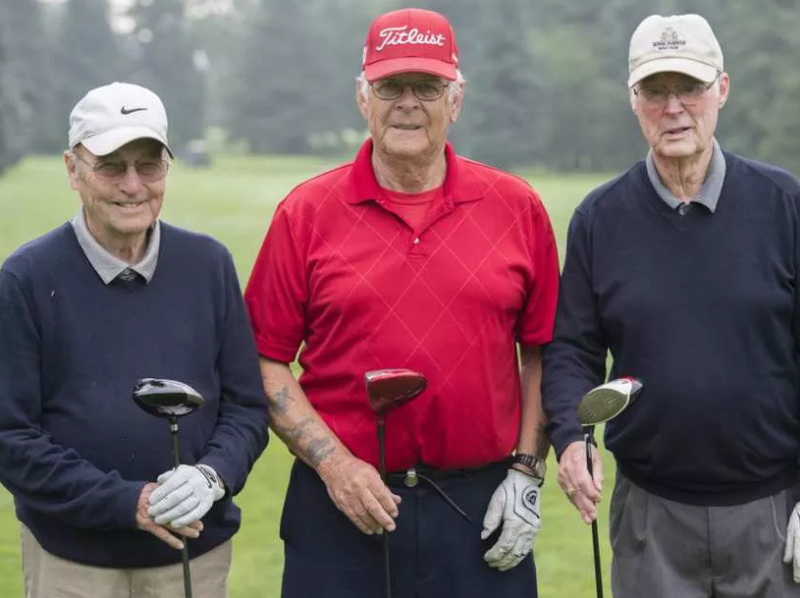 Three gentlemen shot their age at Victoria golf course. Three gentlemen shot their age at Victoria golf course. One is rare. All three in the same group on the same day is astronomical. They are Wayne Omath,73 Larry Thibodeau, 77, and Doug Campbell, 84. .Photo by Shaughn Butts / Postmedia Curtis Stock Story Photos of golf trio for Curtis Stock column running Monday, Aug. 15 editions.